Can you think of a better way to get your heart ready for the season of Christmas than a fun coloring book? I certainly cannot, but this is much more than JUST a coloring book. It is a devotional as well. Each day from December 1st-31st brings us a new devotional that will help prepare our hearts and minds for the upcoming Christmas celebration and remind us why it is we celebrate. Each devotional is accompanied by a beautifully illustrated coloring page. Some pages are clearly Christmas centered, where others aren't strictly holiday themed. Still, all work together with their devotionals to get us in the mood for Christmas. There are even kid friendly coloring pages at the end so that your little one can join in the fun as well. Perhaps my favorite part of the devotional is not even the coloring pages or the devotions at all, but the family discussion starters. As a Christian mom. I really try to remember to keep Christ at the center of the holidays for my children as well, and these great discussion questions provide a perfect starting point to do just that. This truly is a beautiful way to keep Christ in yours and your family's Christmas this year, and I cannot wait to color my way through it come December. 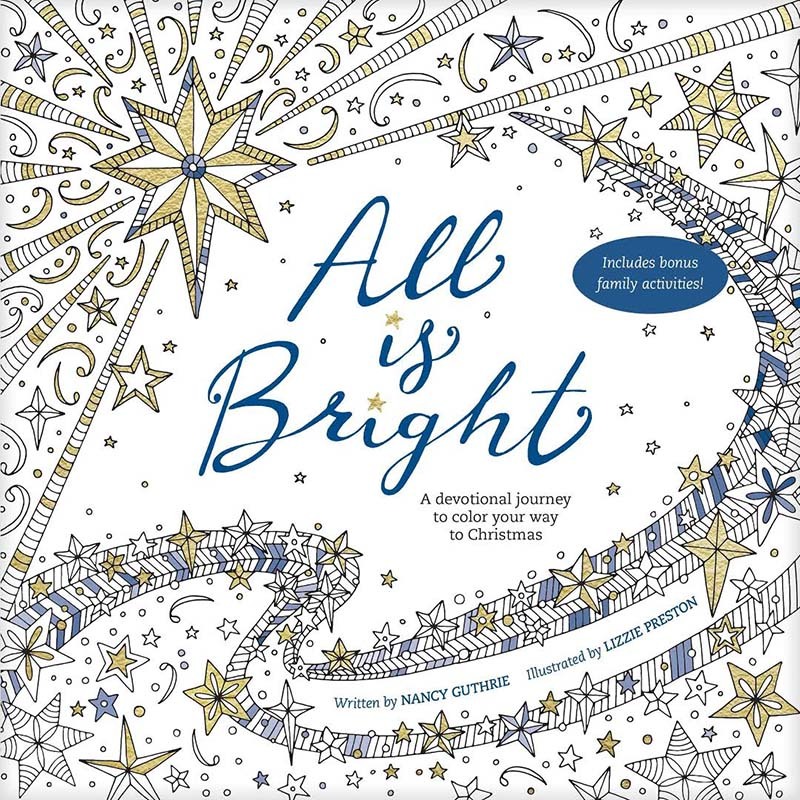 All Is Bright is available to purchase now at your favorite Christian book retailers. Thats a great design right there. Coloring is relaxing to me. With this book, it also makes it reflective and meditative! Love it!! Christmas is such a magical time and I love the things we can do to keep Christ strong in Christmas!! I would so love to have this book and I would also love to get one for my best friend.